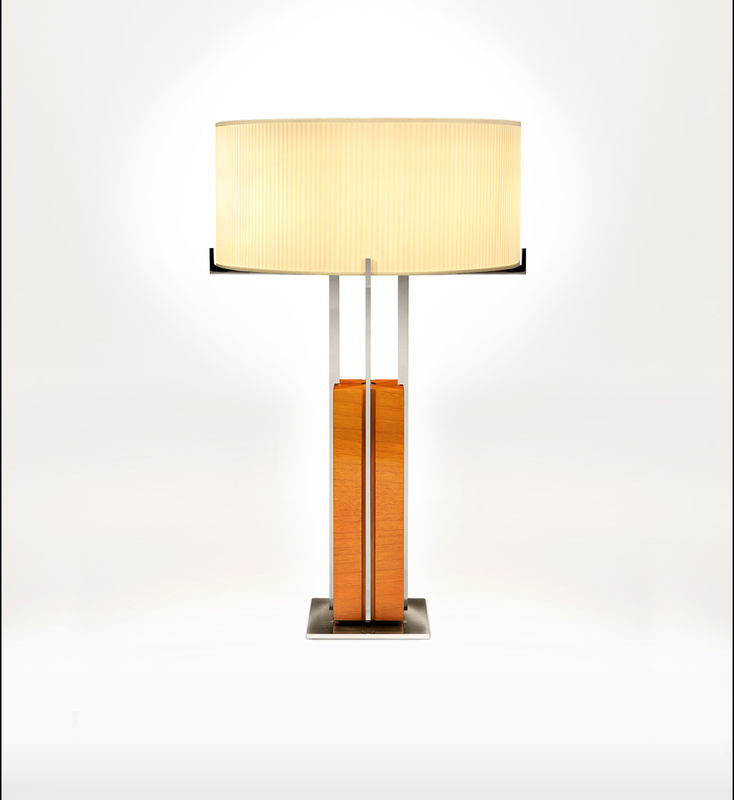 Table lamp in walnut wood: light / dark color. Metal fittings in nickel: shiny / matt black. Ribbed lampshade in cream color. Two incandescent bulbs E-14 max 2x40W. 220v. Dimmable.